As USB 3.0 devices are getting popular, the demand for extending the distance covered by USB devices is growing notably. 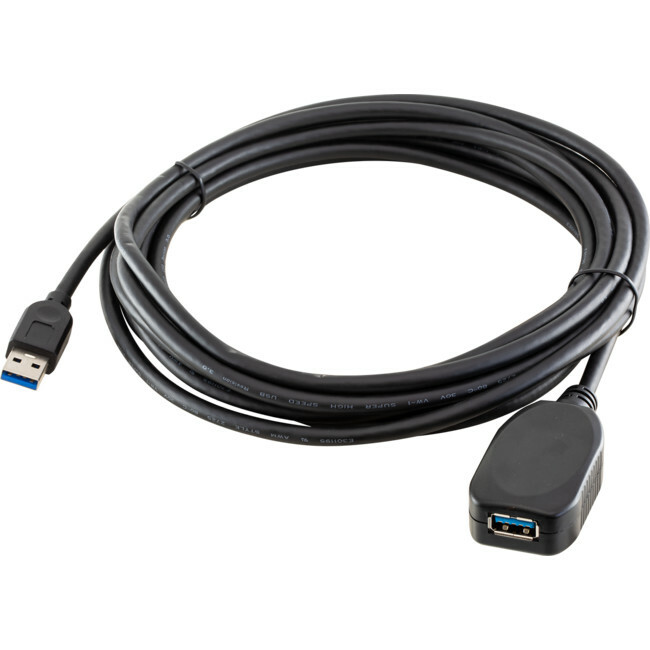 UE350A USB 3.0 Extender Cable not only extends the distance for the USB devices up to 5 meters, but also delivers a throughput of up to 5 Gbps when used in conjunction with a USB 3.0 host and device-an astounding increase that is ten times the capability of USB 2.0. In addition to its robust speed and transfer rate, the UE350A also provides a durable, high quality connection that harnesses the full capability of the USB 3.0 standard; at the same time, it is backwards compatible with USB 2.0 and 1.1 to ensure reliable data communication. With UE350A, extending the distance of your USB 3.0 device is quick and easy, making it an ideal addition to your USB system setups.